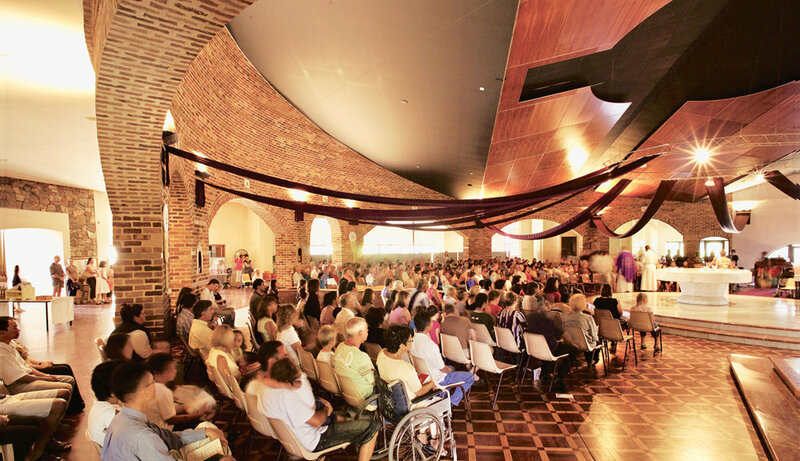 My good friends Fr John and Sister Margaret and so many at Ballajura where my family and I built our first home, made this commission a great labour of love and personal devotion. This, Fr John tried to explain to the tightfisted Finance Committee of the church; was not just a church: it was an ecclesial village who's purpose was to nurture, protect and serve every member of the community for generations. 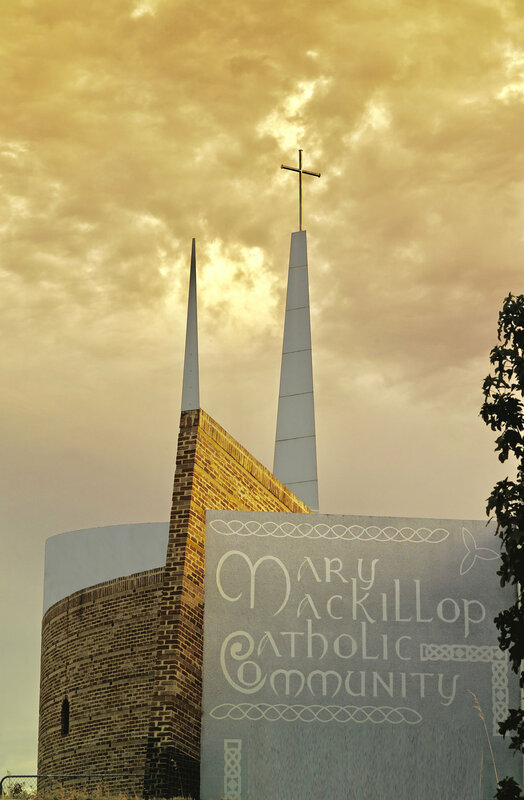 Part church, part gathering hall, part after school care, part chapel, part offices; the building at Ballajura dedicated to Australia's first saint Mary Mackillop are a monument effort of community and to faith. I am honoured to celebrate its enduring relevance each time I attend a celebration there and see that its design intent has worked so well at each level. It could use a good paint job outside after nearly 20 years but I am sure Fr John is working a deal somewhere...Dominic and Tony can hear him coming.